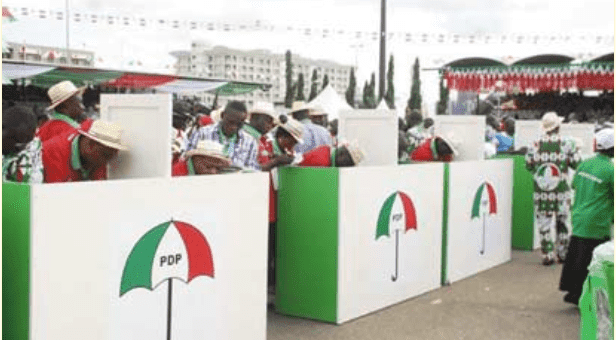 The Federal Government of Nigeria has released some names of officials of the opposition Peoples Democratic Party (PDP) that it said looted the treasury while the party was in power. The government was responding to a challenge by the spokesperson of the PDP, Kola Ologbondiyan, in response to Vice President Yemi Osinbajo who said the PDP administration carried out massive looting of the treasury in the 16 years it was in power. Mr. Ologbondiyan in a statement on Thursday accused Mr. Osinbajo of not being bold enough to mention names of those he claimed stole public funds. The Minister of Information, Lai Mohammed, picked up the challenge Friday while addressing journalists in Lagos. The text of the address was sent to us by the information ministry. Mr. Mohammed said he called the press conference because the PDP has challenged the government to name the looters under their watch. He also said the PDP had claimed they did not loot the treasury. “Well, I am sure they know that the treasury was looted dry under their watch. Yet they decided to grandstand. This shows the hollowness of their apology to Nigerians,” he said. Mr. Mohammed then gave a list of top officials of the PDP that he said were looters. He said the national chairman of the party, Uche Secondus, on February 19, 2015 received N200 million from the office of then National Security Adviser (NSA). “Then National Publicity Secretary Olisah Metuh is on trial for collecting N1.4 billion from the office of then NSA,” he said. The minister also said a stalwart of the PDP, Raymond Dokpesi, the Chairman of DAAR Communications is also in trial for receiving N2.1 billion from the office of then NSA. Mr. Mohammed said a Federal High Court on Thursday ruled that a cousin of former President Goodluck Jonathan, Robert Azibaola, has a case to answer for collecting $40 million from the office of then NSA. “This list is just a tip of the iceberg, and the PDP is aware of this. “We did not make these cases up. Many of these cases are in court and the records are available,” Mr. Mohammed said. The minister also said some of the people he mentioned are seeking to plea bargain. Mr. Secondus had within the week apologised to Nigerians on behalf of the PDP for what the party did wrong while it held office. The APC administration of President Muhammadu Buhari, however, called on Nigerians to reject the apology and ask the PDP to first return monies stolen under its watch. “We insist that Nigeria was looted blind under the watch of the PDP, and that the starting point in tendering an apology is for them to return the loot. “It’s like a robber admitting to stealing your car and apologising, but then saying he will keep the car anyway. It doesn’t work that way. “The PDP is a hypocrite. And that reminds me of what English writer William Hazlitt said: ”The only vice that cannot be forgiven is hypocrisy. The repentance of a hypocrite is itself hypocrisy.” Mr. Mohammed said. He also said the government will not stop talking about the alleged massive looting by the PDP. He said the party brought Nigeria to its present situation. “We are now looking around for loans to build infrastructure, and they ask us not to talk about it. We will talk about it,” the minister said.